Our newest addition, we hope you will enjoy the table, as well as the lounge chairs and BBQ on offer in the shared backyard! Downtown 1 Bdrm Loft in Arcata - Walk to Everything! Nice Fenced Yard. Kitchen, Full Bath, Private Deck & even Pet Friendly! Enjoy the just completed, shared lounge area with infrared 3 person sauna, complimentary bicycles,& washer/dryer (small fee)! 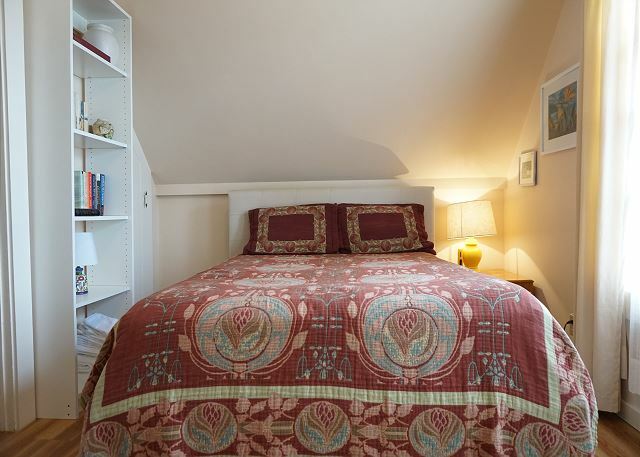 Great central location for your stay - but the loft is nice and quiet too! You enter around the back and up the staircase. You are one block from restaurants, cafes, bars, Far North Climbing Gym and just a couple blocks from the Arcata Food Co-Op & the Plaza. And, if you are heading to Humboldt State University, you are about 12 blocks from campus. We have two off street parking spots in the driveway for our 3 rentals, and it is first come, first serve, we cannot guarantee a spot in the driveway. However, plenty of street parking, and across the street it is not restricted by time at all. There are three rentals that are connected, and this home is the only one on the 2nd floor. The other 2 are called Downtown Digs & Downtown Drift. The large yard is shared by all with a shared gas BBQ and ping pong table. We do have an area in the back area that is fenced off that you access through your back door. One dog max per rental please, and we kindly ask that a dog never be left at the property (inside or out) with you not present. You will be happy that you came! For the third person sleeping we offer 12" single floor mattress pad with bedding that can easily be laid out in any area of the loft. Thank you for taking a moment to leave a review of your stay at Downtown Loft. We look forward to having you back again soon to enjoy more of what the North Coast has to offer. With the bikes available to guests, it's a great way to explore the town of Arcata. Take a sauna after a long day of exploring our many trails and forests. Thanks again for you review, and please look us up at Redwood Coast Vacation Rentals when planning your next trip to the North Coast! Another great spot in the RCVR family! 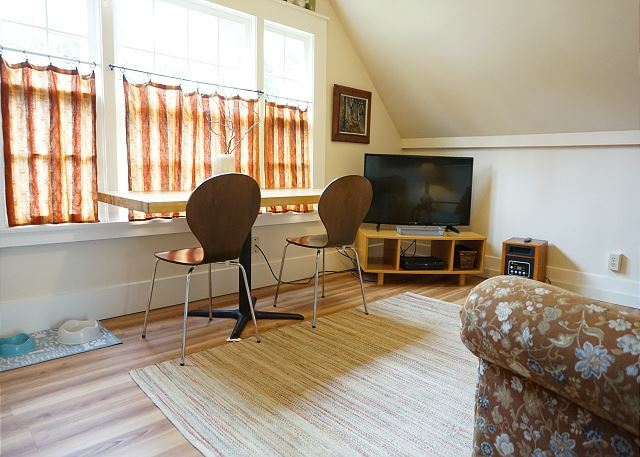 Slick little upstairs apartment a literal stones throw from downtown Arcata! Always clean, easy, and fun places to stay. This one has a great second story deck. Thanks for the review Robert! Enjoyed having you, please come back and stay with us anytime. Hope you had the opportunity to use the sauna, perfect weather for it lately! Please look us up at Redwood Coast Vacation Rentals when planning your next stay on the North Coast! Thanks again for your feedback. We had a great stay in Arcata. The loft fit our needs well and we loved how close it was to downtown Arcata, the Coop, etc. I'm happy to hear you loved Downtown Loft. These is a popular property, due to the proximity to downtown, the comfort of the unit, and it's great price, so I'm glad you found it comfortable and convenient as well. Please look us up at Redwood Coast Vacation Rentals when planning your next trip to the North Coast! The place was perfect for my stay. It was close to everything. Highly recommended! Thank you for staying with us! There's plenty to do while staying at Downtown Loft, bikes, sauna and laundry facilities are all available for our guests at this property make it a very appealing property to lots of folks. Please come back and stay with us again soon, and be sure to look us up at Redwood Coast Vacation Rentals when planning your next trip to the North Coast! And thank you for leaving a review. We had a nice stay over Homecoming/Family weekend. There is a full kitchen available, though be sure to open the vent with any cooking. Overall a nice stay. Thank you for leaving a review of Downtown Loft. We appreciate our guests leaving reviews and feedback, they are so vital for us to know how the property is doing. Please come back and stay again the next time your travelling and visiting the North Coast! Look us up at Redwood Coast Vacation Rentals. Thanks again! We just loved the Downtown Loft! Upon arrival there was music playing, cookies and coffee and spices from the local Bagel shop. It was so warm and welcoming. The place was adorable and so comfortable. The location was ideal. So close to the square and restaurants. The only thing I would mention is the parking was confusing. There are 3 rentals at this particular property with only 2 assigned parking spots. Directions given to all guests apparently are to park in the driveway. This was not an issue until we came back late one night and had to park on the street. It would be nice for the property owners to disclose this to future guests. With that being said, we would absolutely stay again. It was just great. Thank you for making our stay so comfortable. Thank you for your feedback, the wording on the website could be a bit confusing, so I have gone back and clearly stated the parking policy so in the future, there should be no confusion for guests. Thank you for bringing this to my attention! 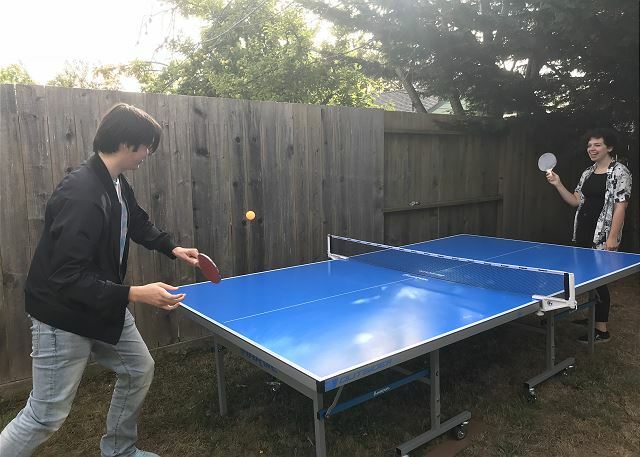 I'm very happy you enjoyed the property, I hope you had the opportunity to use the new ping pong table the owners have purchased for the property, what a great way to enjoy the outdoor space! We hope to have you back in the future, and thanks again for staying with us! This 2nd floor apartment is charming, clean and airy. 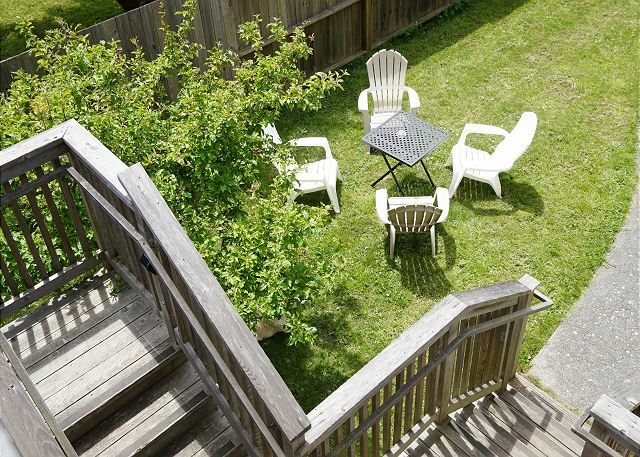 The location is especially convenient to downtown Arcata and the University. An excellent value. The Downtown Loft was just the right amount of space for my husband, mother, baby and me. The amenities were great. And the location was just perfect. We could easily walk to restaurants, markets, bars, event the marsh and wildlife area. Wonderful, so happy to hear the property was the perfect fit for you and your family. Downtown Loft is quite popular, and we would love to have you back the next time you come to visit the North Coast! Please look us up at Redwood Coast Vacation Rentals when booking your next visit, and thanks again for taking a moment to leave a review of your stay! We had a wonderful visit to Arcata. We felt very comfortable in the loft apartment. It had more room than expected, and was very cozy and so cute! We loved having a private deck upstairs, as we were blessed with lovely weather during our stay. We would love to stay here again when we visit our daughter at HSU. The location is great, so close to the downtown square yet away enough for quiet and great parking. We loved the views from the upstairs loft! Thank you for the extra amenities, the coffee and cookies were very appreciated! You are very welcome, and we would love to have you back to Downtown Loft! It is a very cute, comfortable and popular property. With the added bonus of offering bicycles and an infrared sauna for guests, as well as being pet friendly, well, it's just a great experience all the way around. Please look us up at Redwood Coast Vacation Rentals when planning your next trip to the North Coast! Saubere, herzige Unterkunft. Gutes Internet. Küche zweckmässig eingerichtet. Wurden mit Kekse und Kaffeemischung begrüsst. Achtung: beim Herd nicht mehr als auf 6 einstellen. Ansonsten geht der Feuermelder irrtümlicherweise los. Etwas viele Vorschriften mit Zusatzvetrag. Thank you for your kind review! However I'm not 100% sure what was meant by a little many rules with additional charge. All our charges are included up front when you book the property. Thank you so much for bringing the sensitive smoke alarm to our attention, I will be looking into it. Thank you so much for your feedback, we are very happy you enjoyed your stay! Please look us up at Redwood Coast Vacation Rentals when planning your next trip to the North Coast! 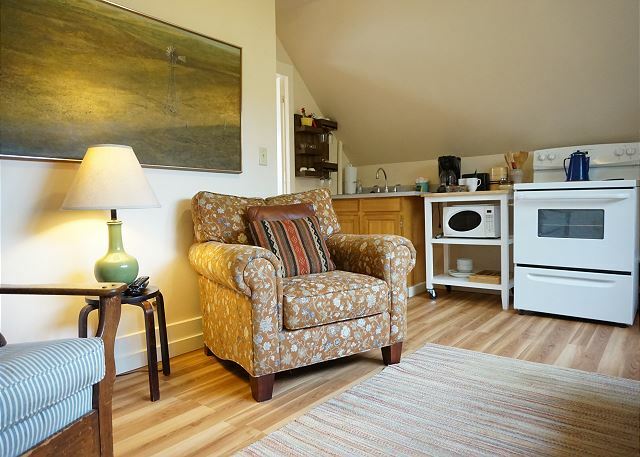 Clean, quiet with a very comfy bed complete with gourmet coffee and cookies and coffee. Love that you enjoyed your stay at Downtown Loft! You are welcome back any time, just look us up at Redwood Coast Vacation Rentals when planning your next trip to the North Coast. Looking forward to seeing you again! 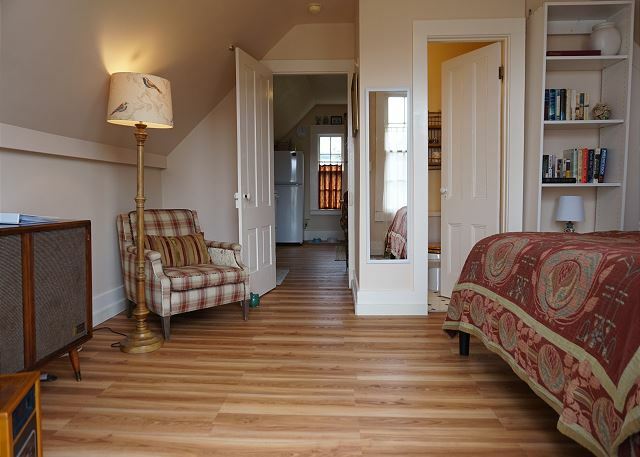 The Loft is a wonderful deal: super cute, clean, and quiet. I don't think the cover picture does it justice. Bed was comfy. Views out the windows are very nice. Loved it. Thank you! Yes, Downtown Loft has a great following and is such a great deal in a perfect location. We appreciate you coming to stay with us and thank you for such a nice review! Lovely, well equipped one bedroom with a private porch. Great location in Arcata, short walk to the square and the Arcata marsh. Thanks so much for your feedback! This property is very popular, as it has a lot going for it, location, pet friendly, outdoor space, and nice amenities like bicycles on site for guests to use as well as anan infrared sauna. Lots to like! I'm very happy you enjoyed your time here, and we would love to have you back anytime, please look us up at Redwood Coast Vacation Rentals when planning your next trip to Arcata, or the North Coast, with over 100+ homes, there's something for everyone! The location was perfect for me. Just a block from my fav Los Bagels! Apt was very clean and comfortable. Nice amenities - like a bottle of Slug Slime! Shower was great and bed comfortable. The nice tv didn’t work for two days due to a cable problem but all the staff was very helpful and quick to respond. All in all a very nice stay! Thank you so much for your review Linda, you were a fabulous guest and we'd love to have you back as soon as can be. So sorry about the buggy cable, I really wish I could have resolved that the night I came over, alas, it's fixed now, so my apologies for any inconvenience you experienced. This property is very popular, so please book now for a future visit, your a wonderful guest! Please visit us at Redwood Coast Vacation Rentals when planning your next trip. Thanks again! Perfect artsy chic loft for two with great patio, light , flair and comfy bed! Location was perfect, easy walk to the plaza but still quiet. Parking easy too. Property is comprised of 3 vacation rentals and very well taken care of. Pretty garden with lounge chairs and BBQ. Sauna was a great addition but didn't get over 120F, hopefully will be fixed. Beach cruisers for uss. We were in the upstairs loft and enjoyed our stay! Felt like home away from home. The only comment we would have is that it's kinda shapoy chick. The furniture is well worn but tasteful. Books and scrabble. The kitchen and bathroom could use updating. Everything was clean (8 out of 10) but it felt a little shabby prob due to the need to update. We got used to that very fast. Also if you are smell sensitive, well be aware that other guests smoke weed, so you can't escape the smell of it. The sink smelled a bit moldy, really the only thing not clean was the dish rack and the bathroom fan. We made recommendations to the host and loved our stay. We will be back. The two downstairs units are roomier and feel more updated. Thank you very much for all the feedback, it is very helpful to us! We will work to raise that 8 to a 10! And will do a deep clean on the drains. These are very valuable comments because it helps us to improve the spaces for future guests, you being one of them we hope! The sauna has been repaired and is ready to go. In the future, if you are smelling marijuana being smoked on the property, please call the property manager so we can get in touch with the smokers and have them stop. The owners have spent time making sure the home is cozy and feels like home, I'm so glad you enjoyed the property, including the bicycles! Looking forward to your return and hearing your feedback! this is the 3rd time we've stayed at the Loft because it's clean, easy access into the square and other places, it's quiet, and it works well for our needs. So happy to hear you love Downtown Loft! 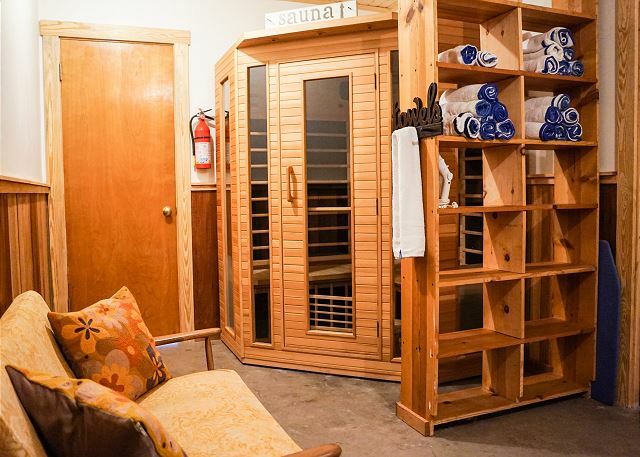 It is a very popular spot, for a lot of reasons, proximity to town and forest, access to bicycles to explore Arcata, and the great infrared sauna to relax in after a day of exploring, plus it's pet friendly and inexpensive! Please look us up at Redwood Coast Vacation Rentals when planning your next trip! Loved the location. You can walk to everything in downtown Arcata. The little loft had everything you need. The loft is clean and quiet. Super easy to book, etc. Thanks for the review, we love feedback! Happy to her everything was easy and Downtown Loft met all your needs, we do hope you'll be back soon! 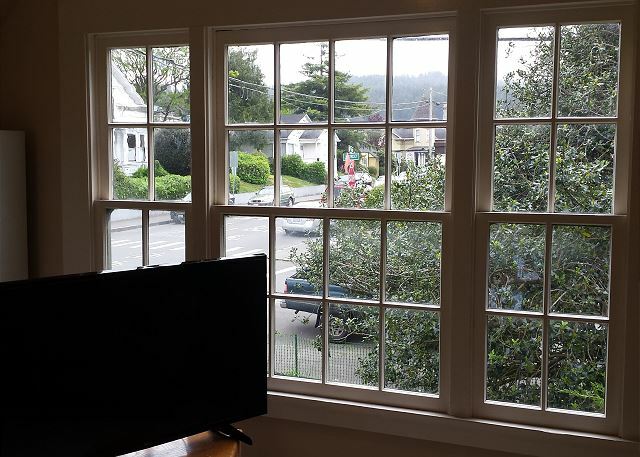 It's quite the gem, being nestled in the heart of Arcata, and being a short walk to beautiful redwoods. Please look us up at Redwood Coast Vacation Rentals when planning your next trip! This was a great little space to stay in while working in Arcata. Glad to hear it Shannon! We get a lot of great feedback on Downtown Loft, due to it's proximity to downtown, and also because of it's inviting and cozy vibe. We've had lots of return guests to this little gem, and we hope you will be one of them! Being pet friendly is also a bonus, and just recently, the owners have added a communal lounge, with bicycles, a washer/dryer, and an infrared sauna available for guests use! We hope to see you back soon, please look us up online when booking your next trip to the North Coast. Two of us stayed in this quaint 1-bedroom + full kitchen loft. 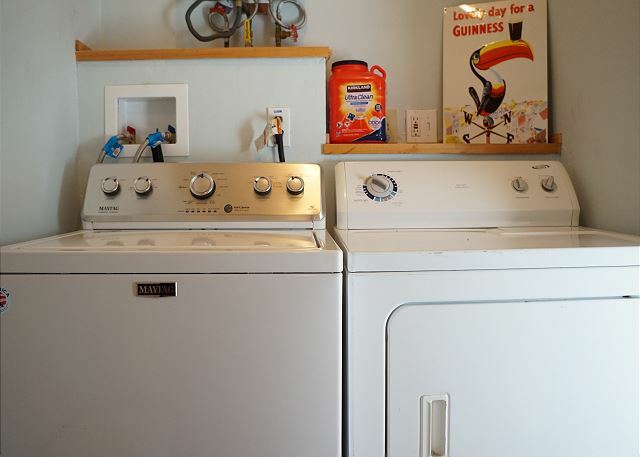 The price was excellent and the location was in the heart of Arcata. We really liked it and will stay again. Thank you for taking a moment to leave a review of Downtown Loft in Arcata. People love this property, due to it's proximity to downtown as well as it's charm and affordability, as well as being pet friendly! With four new bicycles added for guests pleasure, as well as washer/dryer and infrared sauna, there's even more to love! We would love to see you again, please visit us at Redwood Coast Vacation Rentals when planning your next trip north! I highly recommend this place. My wife and I had a wonderful visit and hope to stay here again sometime soon. The place was very clean and comfortable. It is also in a great location walk around downtown. Thanks for taking a moment to share your experience with us! We love getting feedback on the properties, and it sounds as if you had a great experience. The owners have recently finished a shared lounge, with access to washer/dryer, a 3 person infrared sauna, and bicycles for exploring the streets and parks of Arcata with! We would love to have you back anytime, having topped Lonely Planets Top Ten of best places to experience of 2018, we anticipate more folks discovering all this beautiful county has to offer. Please look us up at Redwood Coast Vacation Rentals when booking your next trip to the North Coast! Thank you Evelyn. The owners have recently added a shared lounge space that where guests have access to laundry facilities, as well as bicycles, and a three person infrared sauna. It was already a great experience, but they've managed to make it even better! 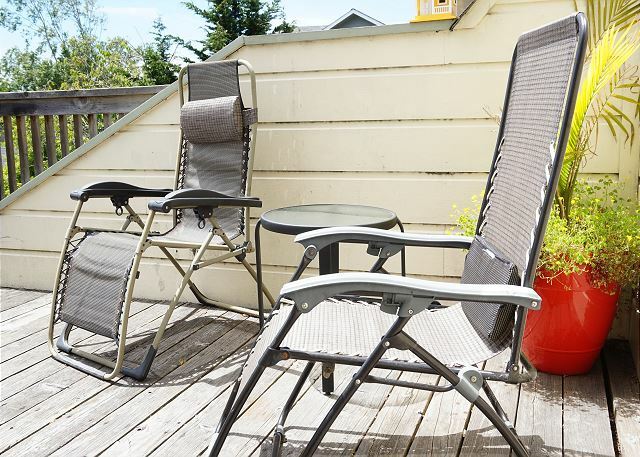 The properties, being so conveniently located to downtown Arcata and pet friendly, are very popular, so make sure to book early for your summer vacation! We've also topped the list of Lonely Planets Top Ten best places to visit 2018!! So please come again to see all the area has to offer. We have stayed in all three of the units on this property, and Downtown Loft was just as nice as the other two. Great location, just two blocks from the Arcata Plaza. So happy to hear you enjoyed Downtown Loft! As you know, since you've stayed in the other 2, it's one of three units the owner divided the previous home into, and all three are getting consistently great feedback, so wonderful to hear guests are happy! It is located right in the heart of Arcata, walking distance to beautiful trail inside Redwood Park. Also, we are almost finished renovating the shared lounge and soon a washer/dryer and sauna will be available for all guests to use and enjoy, as well as having use of bicycles to explore the town of Arcata with. Please visit again, look us up at Redwood Coast Vacation Rentals for your next stay! Comfortable loft with sweet patio--great location too! Nice, quiet part of downtown Arcata, comfy bed, awesome patio, quaint and simply decorated loft that feels like a home...will try to stay there each time I go to Arcata, for sure! Thank you Jeffery, we look forward to hosting you again, anytime we can! So happy to hear you enjoyed your time at Downtown Loft, the owners spent time on the details to make sure guests felt at home. 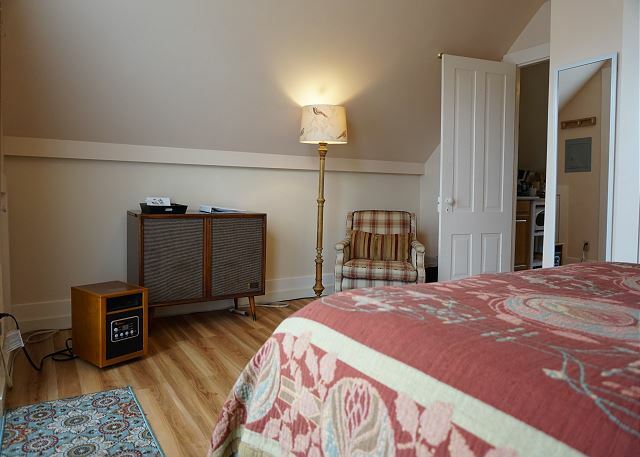 It's ideally located, you barely need a car, you can walk to all the shops from the loft. And the beautiful redwoods and wild coastline are just a short car ride away. Wonderful location, and pet friendly? What more can you ask for! Thanks again for the review and we look forward to seeing you again! Jarred was very responsive to the very little lead time we gave him when booking this last minute trip. The place was in an excellent downtown location, well stocked with cooking essentials and clean. Thanks for leaving a review, and so happy to hear you enjoyed Downtown Loft! We hope to have you back soon, please look us up at Redwood Coast Vacation Rentals when booking your next trip to the North Coast! We loved our time in the loft apartment. 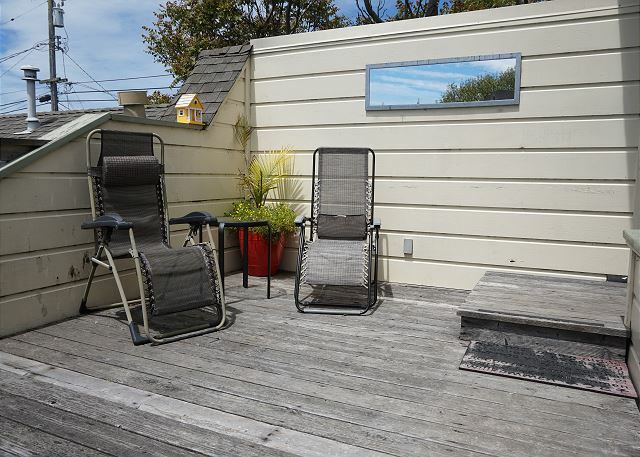 It is a great location and a nice private deck. Very clean with all the amenities. Thank you Barbara for leaving your thoughts on Downtown Loft. 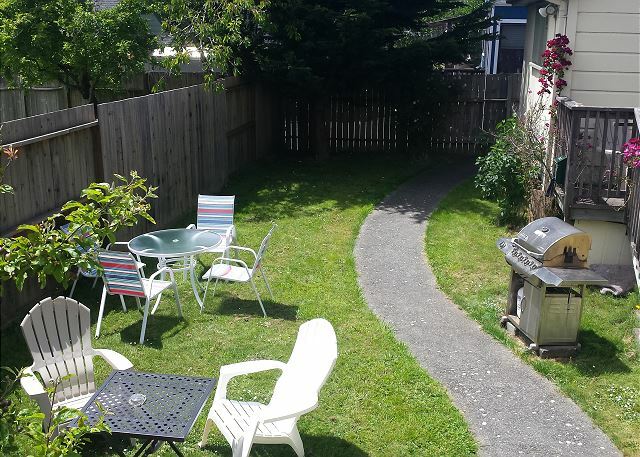 This property is very popular due to it's proximity to downtown Arcata, and the sweetness of the apartment. It's very cozy, while offering a full kitchen and it's dog friendly! What more can one ask for and all at a very affordable price. Please come see us again, and book through Redwood Coast Vacation Rentals for your next excursion to the North Coast! Thanks again for the feedback Barbara. 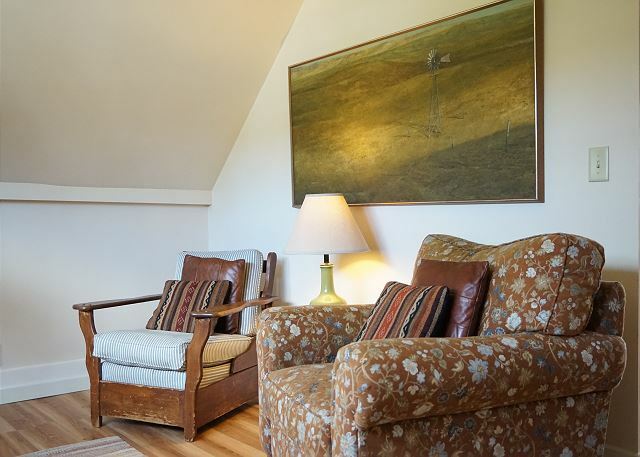 I have a usual hotel that I stay at when I'm on business in Arcata, but it had a ridiculously high rate, so I looked into my options and found this super cute loft. I'm so glad I did! I'll definitely stay here again! We loved the loft. It was such a convenient place to stay since we could walk to just about everything. Thanks so much for staying with us at Downtown loft! The location is so perfect, walking distance to everything. We just recently made some nice upgrades including all new floors and larger sink. Thank you for taking the time to write this review and we look forward to your next visit to the Redwood Coast. The property description was totally accurate. However, they are currently converting the units so the GPS drops you off in the front of the building where a lot of debris was visible (construction), so if you go soon, don't let that scare you like it did us. The property was clean and well-maintained, the surrounding area, not so much. The street (10th) seems to be a haven for homeless. There are mostly vagabond looking kids hanging about - harmless, but found some folks sleeping on lawns nearby when walking in the morning. Could be off-putting if you are not aware of it. The other side of that coin is that the location was GREAT. We went to the farmers market on the square Saturday and enjoyed a fare on Sunday. Lots of great local restaurants and shops, just one block up! GREAT customer service. We didn't understand the lock box and they helped out immediately. They also welcomed us with local beer, cookies, etc. The studio was just perfectly appointed. They took a lot of care into making sure our stay was exceptional, and it really was. I would absolutely recommend this property to a friend or relative. Kitchen is very small, especially the sink (no garbage disposal or no dishwasher), so not so family friendly, in terms of preparing meals. The downtown loft was perfect for my husband, my self, and our two dogs. I loved how close we were to downtown Arcata and how everything we needed was with in walking distance. We loved walking to the The Local Cider Bar and Slice Of Humboldt Pie shop for drinks/dinner. The loft is about 12 min drive to the Marina and is a great location if you plan on booking a ship charter during your stay. The yard was great for the dogs, however there looked to be some street construction that knocked down part of the fence? It looked temporary, but I would recommend looking around before letting the dogs have the run of it. The loft was even nicer in person and the pictures don't do it justice! It was very clean and looked to be newly renovated. Very comfortable bed and cozy living room, what is not to like about the place? We Loved it! Great location, excellent space, fantastic romantic getaway! Great location. T's restaurant within walking distance. Great begal shop around the corner. Property was as listed. Was cozy and comfortable. Would recommend to others.